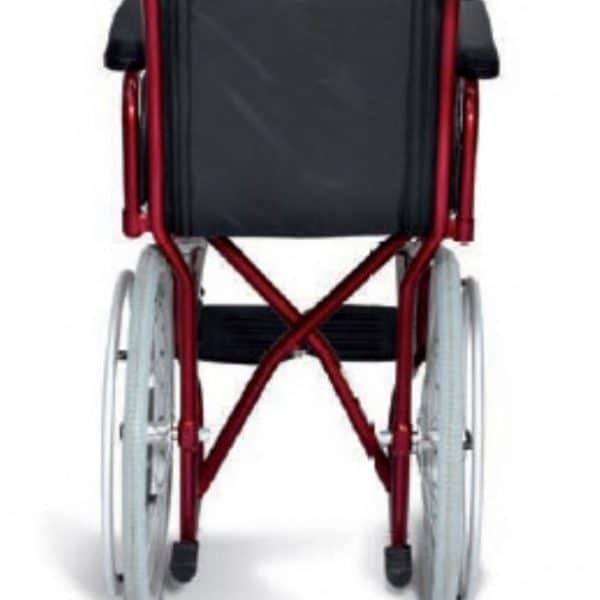 Folding wheelchair painted steel equipped with handrails for the ‘self-propelling. Painted steel folding wheelchair with handrail for self-propelling / autonomous movement2 front wheels filled by mm200 and two rear wheels. Foldable steel wheelchair with a stabilizing painted steel frame, with rear wheels of 20” (500mm) and a handrail for autonomous movement.2 Full front wheels ( 200mm ) and 2 rear wheels. The positioning of the rear wheels under the seat and the reduced size of the structure allows the use of this wheelchair inside homes and through narrow doors and passages. The seat and backrest are made of washable nylon.Armrests are extractable and can be raised for greater comfort. 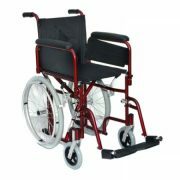 Available in seat sizes of 40 and 43 cm with a maximum wheel to wheel width of 9,5 cm.